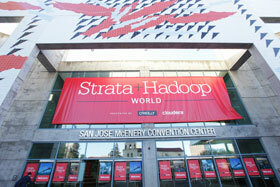 To receive the group room rate, mention the "Strata + Hadoop World" room block. Rates will be honored until February 20, 2017, or until the block sells out, whichever comes first. Room rate: $289 plus tax. Room rate: $349 plus tax. Our group block is sold out at the Hilton. Please contact the hotel directly for availability and rates. Our group block is sold out at the Fairmont. Please contact the hotel directly for availability and rates. 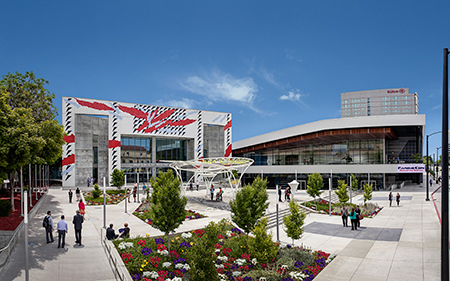 Find more information about getting to and from the Convention Center. To receive your 5% – 10% discount on United Airlines flights to our event, you can book online at united.com and provide discount Code ZY35396384. Or, for a $25 service fee you can call United Meetings at (800) 426-1122 where a ticketing agent can help you by phone. Should you choose to make travel arrangements independently, you may go to the Hertz Interactive Reservation System to receive the special O'Reilly discount on rental cars for the conference. Or call Hertz Reservations at (800) 654-3131 and mention code #01XY0042.